Shoes must be used so as to avoid recurrence of calcaneal spurs. There are more that 27 homoeopathy medicines which can give good relief for pain in heel or calcaneal spur or heel spur. 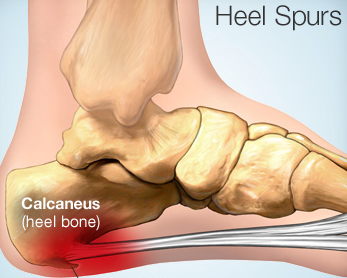 Dr.Abhishek strongly recommended treatment for calcaneal spur, as homeopathy is natural, safe with out any side effect and is quite potential to give instant relief. Homeopathy helps in reducing the inflammation and pain of affected area.